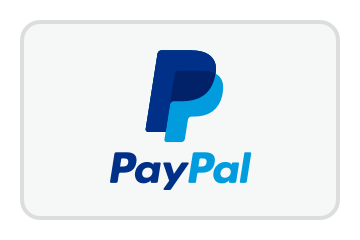 You will be redirected back to this website after visiting PayPal to select your delivery option. Your Paypal account will not be charged until you select delivery, view the total, and complete the order. England £3.50 Free £8.00 Delivery 1-2 days if ordered before 12:00. Wales Free Free £8.00 Delivery 1-2 days if ordered before 12:00. Scotland £3.50 Free £8.00 Delivery 1-2 days if ordered before 12:00. Northern Ireland £1.95 Free £8.00 Delivery 1-2 days if ordered before 12:00. Isle of Man £1.95 Free £8.00 Delivery 1-2 days if ordered before 12:00. Jersey £8.00 £8.00 £8.00 Delivery 1-2 days if ordered before 12:00. Guernsey £8.00 £8.00 £8.00 Delivery 1-2 days if ordered before 12:00. Republic of Ireland £8.00 £8.00 £8.00 Delivery 2-3 days if ordered before 12:00. Andorra £20.00 £25.00 £8.00 Delivery 3 - 7 Business Days. Austria £15.00 £25.00 £8.00 Delivery 3 - 7 Business Days. Belgium £15.00 £15.00 £8.00 Delivery 3 - 7 Business Days. Bulgaria £25.00 £35.00 £8.00 Delivery 3 - 7 Business Days. Cyprus £25.00 £35.00 £8.00 Delivery 3 - 7 Business Days. Croatia £25.00 £35.00 £8.00 Delivery 3 - 7 Business Days. Czech Republic £25.00 £35.00 £8.00 Delivery 3 - 7 Business Days. Denmark £15.00 £15.00 £8.00 Delivery 3 - 7 Business Days. Estonia £25.00 £65.00 £8.00 Delivery 3 - 7 Business Days. Finland £25.00 £35.00 £8.00 Delivery 3 - 7 Business Days. France £15.00 £15.00 £8.00 Delivery 3 - 7 Business Days. Germany £15.00 £15.00 £8.00 Delivery 3 - 7 Business Days. Greece £25.00 £25.00 £8.00 Delivery 3 - 7 Business Days. Hungary £25.00 £35.00 £8.00 Delivery 3 - 7 Business Days. Iceland £25.00 £35.00 £8.00 Delivery 3 - 7 Business Days. Italy £15.00 £25.00 £8.00 Delivery 3 - 7 Business Days. Latvia £25.00 £65.00 £8.00 Delivery 3 - 7 Business Days. Lithuania £25.00 £35.00 £8.00 Delivery 3 - 7 Business Days. Liechtenstein £25.00 £35.00 £8.00 Delivery 3 - 7 Business Days. Luxembourg £15.00 £15.00 £8.00 Delivery 3 - 7 Business Days. Malta £25.00 £65.00 £8.00 Delivery 3 - 7 Business Days. Monaco (France) £25.00 £35.00 £8.00 Delivery 3 - 7 Business Days. Netherlands £15.00 £15.00 £8.00 Delivery 3 - 7 Business Days. Norway £20.00 £35.00 £15.00 Delivery 3 - 7 Business Days. Poland £25.00 £35.00 £15.00 Delivery 3 - 7 Business Days. Portugal £25.00 £25.00 £15.00 Delivery 3 - 7 Business Days. Russia £25.00 £65.00 £15.00 Delivery 3 - 7 Business Days. San Marino £25.00 £35.00 £15.00 Delivery 3 - 7 Business Days. Serbia £25.00 £35.00 £15.00 Delivery 3 - 7 Business Days. Slovakia £25.00 £35.00 £15.00 Delivery 3 - 7 Business Days. Slovenia £25.00 £35.00 £15.00 Delivery 3 - 7 Business Days. Spain £20.00 £25.00 £15.00 Delivery 3 - 7 Business Days. Sweden £15.00 £25.00 £15.00 Delivery 3 - 7 Business Days. Switzerland £20.00 £25.00 £15.00 Delivery 3 - 7 Business Days. Turkey £25.00 £65.00 £15.00 Delivery 3 - 7 Business Days. Australia £28.00 £70.00 £15.00 6 - 11 Business Days. Canada £26.00 £40.00 £15.00 6 - 11 Business Days. India £40.00 £40.00 £15.00 6 - 11 Business Days. Japan £35.00 £40.00 £15.00 6 - 11 Business Days. South Africa £35.00 £40.00 £15.00 6 - 11 Business Days. South Korea £35.00 £40.00 £15.00 6 - 11 Business Days. New Zealand £35.00 £70.00 £28.00 6 - 11 Business Days. USA £25.00 £40.00 £15.00 6 - 11 Business Days. Please read these product terms and conditions carefully as they affect your rights and liabilities under the law and set out the terms under which Hooked on Granite Ltd., T/A The Climbers Shop and Joe Brown Shops, makes products available to you (“Product Terms”). Browse or Search through the site until you find the item you wish to purchase. From the product page select from the options (size, quantity, etc) you require and click "add to basket"
Any personal information given to Hooked on Granite Ltd will be protected. Your information will not be disclosed to any third parties. The Hooked on Granite Ltd server will secure your personal information with up-to-date firewall and encryption techniques during the ordering process. In order to protect customers to the fullest extent, Hooked on Granite Ltd does not store your credit card information at any time. To assist you in recognizing secure areas of the The Climbers Shop and Joe Browns website, a small lock icon will appear in the lower right-corner of your web browser**. When this icon is present, and in the locked position, you know that information on that page will be secured. ** Users of IE7 please note that the Padlock Icon is now located at the end (or far-right) of the Address Bar. Trading as "The Climbers Shop" & "Joe Brown Shops"
We will supply you full and clear details of all or any data we hold on you at your request. Please just ask any of our shop managers and they will arrange this or email data-controller@hookedongranite.com with your request and we will send you a report. We will remove you from our mailing list and or data base immediately at your request, at any time. Please just ask any of our shop managers to action this or email data-controller@hookedongranite.com to arrange this. Product information is included on the site and if there is anything that you do not understand, or if you want more information, please contact the Shop by email or telephone +44 (0) 1539 432 297. All special offer prices are subject to availability and at the discretion of Hooked on Granite Ltd, T/A The Climbers Shop and Joe Browns. Hooked on Granite Ltd reserves the right to withdraw the sale of a product at any time, should they see fit. Promotions and promotional prices will run temporarily (eg. while stocks last) and can be withdrawn at any time by Hooked on Granite Ltd.
For clarification on any offers or discounted prices please contact the shop by email or telephone +44 (0)1690 720304. We will endeavor to have those items that are available to buy on our site. Occasionally we may be unable to supply a particular item and we will notify you as soon as possible. Please email or (telephone +44 (0)1690 720304) us if any particular item is out of stock and we will endeavour to source it for you and let you know the estimated delivery date. We accept Mastercard, Visa and its derivatives (e.g. Delta), Maestro (formerly 'Switch'), Solo and AE. When placing an order, the address given must be the same as that registered with your credit card company. To process your order more efficiently, we also request a landline telephone number (not a mobile) to be used in case of query. Credit card payments are processed by Sage Pay. If there is a problem with your payment we will e-mail you as soon as we can (usually the same day). We will e-mail you confirming that we have received your order and again to notify you that your order has been despatched. You will receive a till receipt when the goods are delivered. Any mistakes in billing or receipts will be corrected as soon as possible. All product information and technical specs contained on The Climbers Shop/Joe Brown Shop site are for guidance only, no responsibility can be taken for errors, typos or omissions. The information contained in the news stories and gear guides on our website is only intended for information purposes and does not constitute advice and should not be relied on to make any decision or take any action. The Climbers Shop/Joe Brown Shops website links to other websites in good faith and we do check these sites before adding a link. However we are not responsible for the privacy policies or content of these websites. Nothing in this notice affects your statutory rights. We are always available for expert advice on all the equipment sold on this site. If you have any questions regarding our website content, product advice or general enquiries please contact us here at info@climbers-shop.com or telephone on +44 (0)1690 720304. The registered name of the business is Hooked on Granite Ltd., trading as The Climbers Shop and Joe Brown Shops. Company Registration No: 4399842. Our VAT Number is 850 5665 18.